Established in 1994, Recruiting Pro Software is a leader in developing innovative solutions. We provide comprehensive data management for all aspects of collegiate athletics. Our systems are based upon three core values that give our clients a distinct, competitive advantage in their recruiting battles. Our software is designed to assist with all facets of the recruiting process in one powerful, easy-to-use package. We supply the tools for you to easily create personalized and eye catching emails that provide the competitive edge over your rivals, while also increasing the efficiency of your staff. Today's hectic schedules demand a system which allows 24/7 access to your recruiting data not just in the office, but also at home and on the road. Our state-of-the-art mobile and laptop synchronization provides critical recruiting data at your fingertiops without the need for notebooks stuffed with prospect lists or live Internet connections. Building relationships through effective and timely communication is the cornerstone of all successful recruitments. Our built-in contact and visit logs organize this information and allow your staff to track and share the most important items. Collegiate athletics at all levels have never been more competitive. The pressure to win has increased even as budgets have become tighter and recruiting rules more restrictive. Recruiting success is critical to competitive victory. Therefore, a powerful, easy-to-use, and cost-effective recruiting tool is a necessary component for today's coaching staffs. For 19 years, Recruiting Pro Software has provided our clients with these tools. Our tools reflect our experience from a coaching perspective, combined with our expertise as a software development firm utilizing the most innovative technologies currently available. As your partner, we are committed to providing the highest level of service to assist you in achieving recruiting success for you and your staff. Please contact us for further information or to schedule an online demo. View this Product Overview PDF of the various data management systems we offer, to both individual sports and as department-wide solutions. Recruiting Pro Software has partnered with Chris Conger to develop the Event Pro app and Event Pro Admin system. 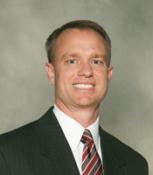 Chris has been the Head Men’s Basketball Coach at Lake Forest College for the past 17 years. In addition to his duties as a basketball coach he has also designed a number of database systems that are used throughout campus. Chris played basketball at the University of Wisconsin Madison, graduating in 1995 with a degree in Engineering Mechanics.